A primer can be used to create a more smooth, even appearance to the face, help foundations and concealers glide easily and evenly over the skin for a more flawless finish, and increase the longevity of make-up. Different kinds of primers are targeted toward different skin concerns. Pore minimising primers are specifically designed to help with visible and enlarged pores by keeping foundation from settling into pores and creating the appearance of smaller pores and smoother skin. This primer is silicone-free and designed to be used as a spot treatment in areas where pores are most visible to minimise their appearance immediately. It also claims to shrink pores over time with continued use. It has a silky texture and dries to a matte finish. 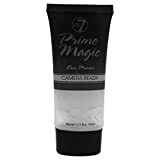 This primer can be used in the morning under makeup and then again in the evening as a pore refining treatment. It is higher in price point than the others but also acts as a skin care product and can be used alone or under make-up. A clear primer in a gel base, this smoothes on easily and dries to a soft, velvety finish and helps increase the wear time of foundation. This is budget-friendly and available in most drugstores. Primarily designed to be used under make-up. Helps reduce the appearance of fine lines and pores. 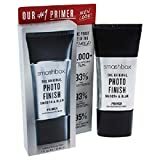 The Smashbox PhotoFinish Foundation primer is a classic, higher end primer much loved by many make-up artists and many in the make-up community. It is a lightweight, oil-free, clear silicone-based primer that can be worn alone to smooth out the appearance of the skin or under foundation for a more flawless finish. This is the most budget-friendly primer option for minimising pores. It goes on clear and also dries to a soft, velvety finish, helps skin look more flawless, and increases the wear time of your foundation makeup. Targeted toward use under makeup as a foundation base. ❺ BodyVerde Pore Tight Natural Pore Min. An all-natural primer option at a medium price point, the BodyVerde Pore Tight works to tighten and fill in pores and provides a smooth and silky base for make-up using all natural ingredients. It is a cream texture that leaves skin smooth and ready for make-up application. It contains acai, goji, pomegranate & noni extracts along with sea plant extracts to help tighten pores. Similar to the Skyn Iceland Pure Pore Minimizer, it doubles as a makeup base and skin treatment. Can be used alone or under make-up. 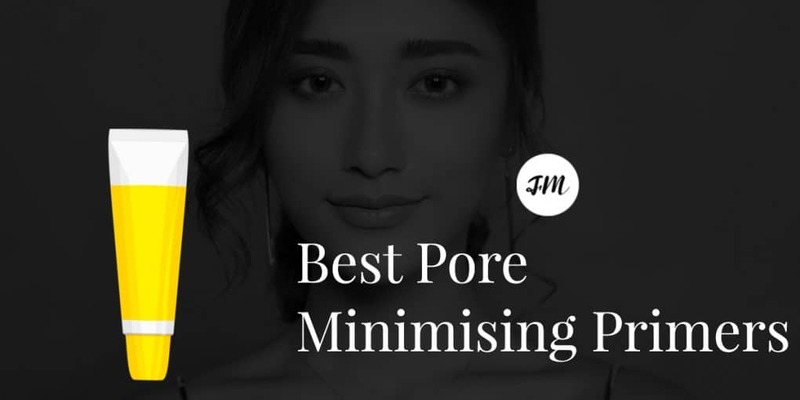 When looking for a pore minimising primer, there are several variables to consider. The first is skin type and whether you need a pore minimising primer that is geared toward oily skin and also controls oils and mattifies or if you have dry skin and need something that is more hydrating but still fills in and minimises the appearance of your pores. The best primer for pores is generally going to be one labeled as pore minimising. Other primers may help smooth skin and blur imperfections but may not address this issue as directly as those labeled pore minimising. Another factor to consider is if you like silicones and a silicone-feel to your primer or whether you prefer other textures or wish to avoid silicones in your skincare and make-up products. No matter your budget, there are great primer options to minimise pores so it is just a matter of finding the one that works best for you.